When you are in the zone of swiping left on so many profiles on Tinder, you are bound to miss that one profile that you failed to pay attention to which could be the one you missed swiping right on. 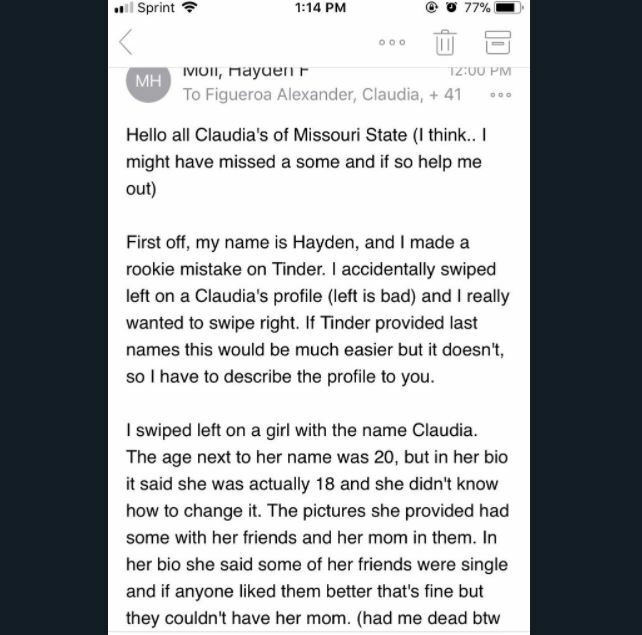 That's exactly what happened to Hayden Moll who took it upon himself to email every single Claudia at university after he failed to swipe right on Tinder. The real Claudia also known as @claudiaaIIey on Twitter posted these images of Hayden's search for her. 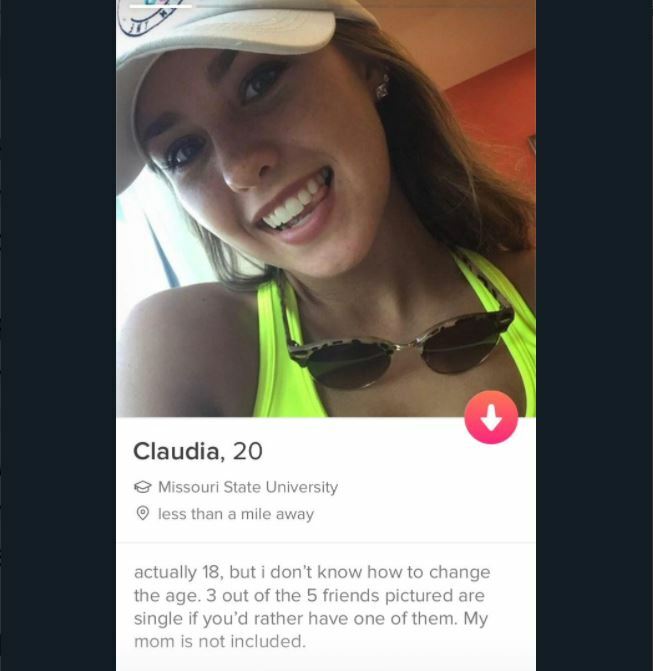 Claudia's tweet went viral and it received over 15k Retweets and 99k Likes on Twitter. Many people shared their response to this latest love story. 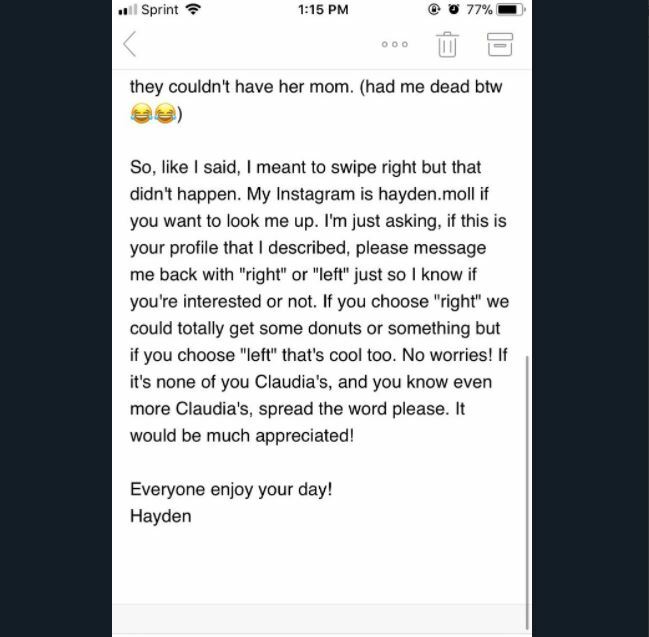 Some even went as far as sharing Hayden's profile for Claudia.